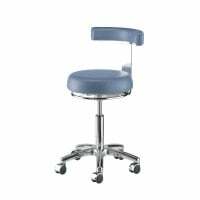 In many surgeries, labs and clinics, the swivel stool is a vital piece of the standard furnishings, especially in social or treatment rooms. In our online shop, you can purchase practical swivel stools from a wide range of colours and variations at affordable prices. from 1.390,00 EUR* Not ready for shipping. Reserve today and we will ship as soon as possible. 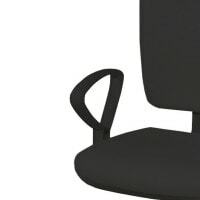 66,95 EUR* Not ready for shipping. Reserve today and we will ship as soon as possible. 115,80 EUR* Not ready for shipping. Reserve today and we will ship as soon as possible. 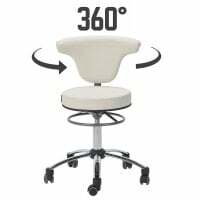 39,50 EUR* Not ready for shipping. Reserve today and we will ship as soon as possible. 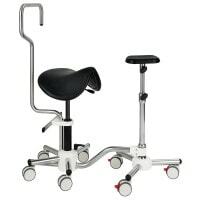 With Praxisdienst, you will find a wide range of swivel stools for use in the practice, lab and hospital. 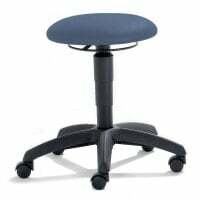 The robust swivel stools are thickly padded and offer pleasant seated comfort, even during long work days. 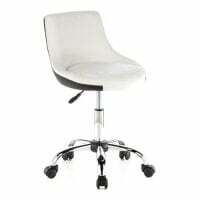 All of our available swivel stools are height adjustable. 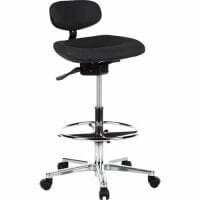 The seat height adjustment on the swivel stool allows you to easily adapt the seated height to the current working area. 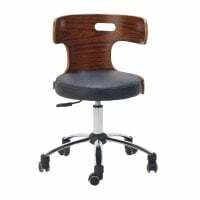 Whether you would like a saddle seat, backrest, foot ring or classic wooden seat, you will find the proper swivel stool for all working areas. 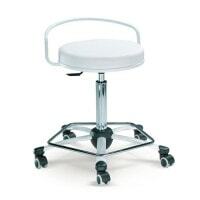 The double castors make the swivel stool mobile and flexibly applicable e.g. 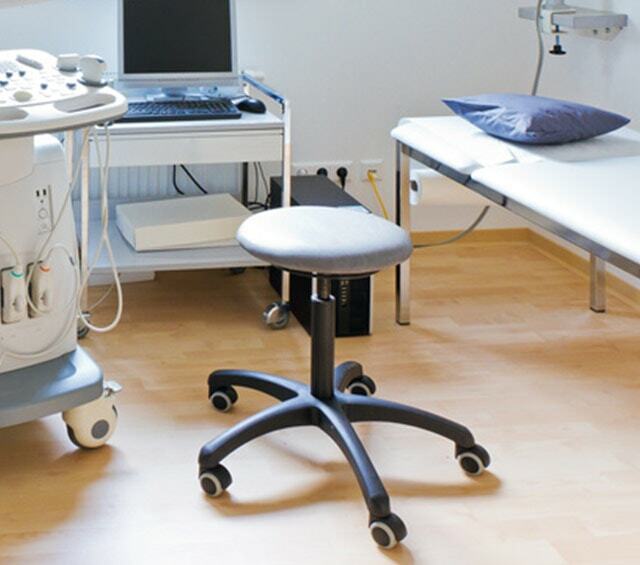 during treatments or for quickly adjusting position. 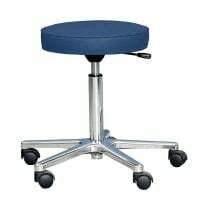 Many of our stools are equipped with braked wheels that can only be moved with considerable force, which keeps the stool from inconveniently rolling away. 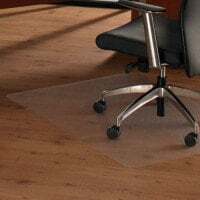 Based on the model, the wheels are either for hard or carpeted floors; some are interchangeable, depending on manufacturer. 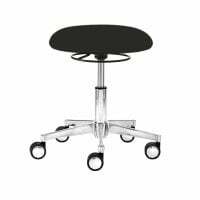 Should you not find your favorite stool, despite our large assortment, then our stool configurator offers you the ability to individualise your swivel stool, based on your own desires; from chassis and wheels to the gas spring and seat. 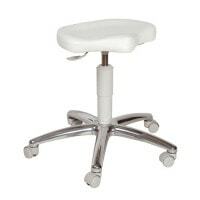 The swivel stool cover is most often made of synthetic leather, as the robust material is easily cleaned and disinfected. 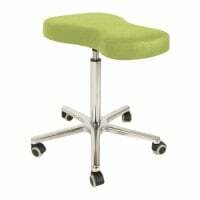 Of course, you can also order your swivel stool in the colour, which best fits your practice furnishings. 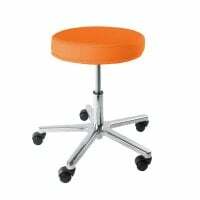 Whether in white, black or in modern orange or petrol - at Praxisdienst, you can purchase your swivel stool in many classic and modern colours at particularly affordable prices. 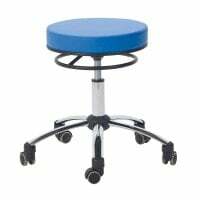 With us, you will find a wide range of height-adjustable or fixed height stools in various models, materials and colours. 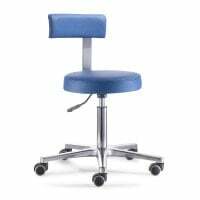 From swivel stools and balls to executive chairs - in our online shop, you are provided with a multitude of chairs and other seating options for outfitting your medical practice. 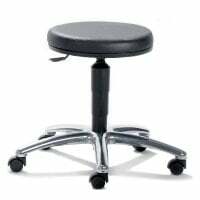 Do you have questions about a swivel stool or need help with an order? 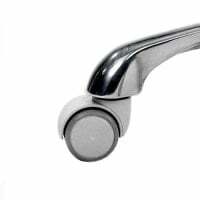 Our product advisors will gladly assist you!